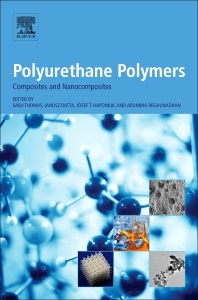 Polyurethane Polymers: Composites and Nanocomposites concentrates on the composites and nanocomposites of polyurethane based materials. Polyurethane composites are a very important class of materials widely used in the biomedical and industrial field that offer numerous potential applications in many areas. This book discusses current research and identifies future research needs in the area. Prof. Datta is a well famous scientist in the field of polymer science and technology. He is an expert in the field of polyurethane recycling, polymer blending and composites. He has a good number of research publications in reputed journals. He is the editor of a book and written two book chapters.He is having ten patents to his credit. He is undertaking more than twenty projects. He secured his graduation and post graduation from Gdansk University, Poland and is currently working as an Asst. Professor in the same university. He supervised two PhD students and more than thirty post graduate students. Prof. Haponiuk is an expert in the field of polymer composites, polymer blends, thermal properties of polymers, rubbers, nanomaterials, recycling, etc. He has more than fifty publications to his credit. He is having a good number of foreign collaborations. Arunima is currently doing her doctoral research in polymer science in the International and Interuniversity Centre for Nanoscience and Nanotechnology, Mahatma Gandhi University. She has concentrated on polymer blends with recycled polyurethanes. She has Co authored a book chapter and is actively engaged in research in the group of Prof. Sabu Thomas.